Is falconry for you? Not sure how to get started and want to learn more? Sign up of our next Falconry Orientation Workshop in April 2020 near Guelph. This annual workshop is a great opportunity for those thinking about getting into the sport as well as anyone who would like a refresher course from experienced falconers on some of the basics. Falconry is hunting with a bird of prey – is this really for me? The speakers will include some of the most knowledgeable and highly respected falconers in the province. These falconers have extensive experience hunting Harris Hawks and Red-tailed Hawks on rabbits and squirrels, as well as having flown large falcons on ducks and Hungarian partridge. In the morning we will discuss many of the topics related to acquiring and hunting with a bird of prey. After lunch (which is included with registration), there will be a hands-on component involving looking at various pieces of equipment and gear, tying a falconer’s knot, and a demonstration of how to handle a hawk. Please note: Participants will not be handling any birds of prey. The setting is a classroom-like environment — in the morning there is a Powerpoint presentation and in the afternoon there are break-out sessions where you are free to talk with individual falconers on a variety of topics, handle the falconry gear and ask specific questions. The workshop fee is $125.00 for non-OHC members and $ 90.00 for OHC members (The membership rate applies to those who were existing OHC members in good standing as of January 1). The workshop fee includes lunch and a booklet that provides details about falconry in Ontario. 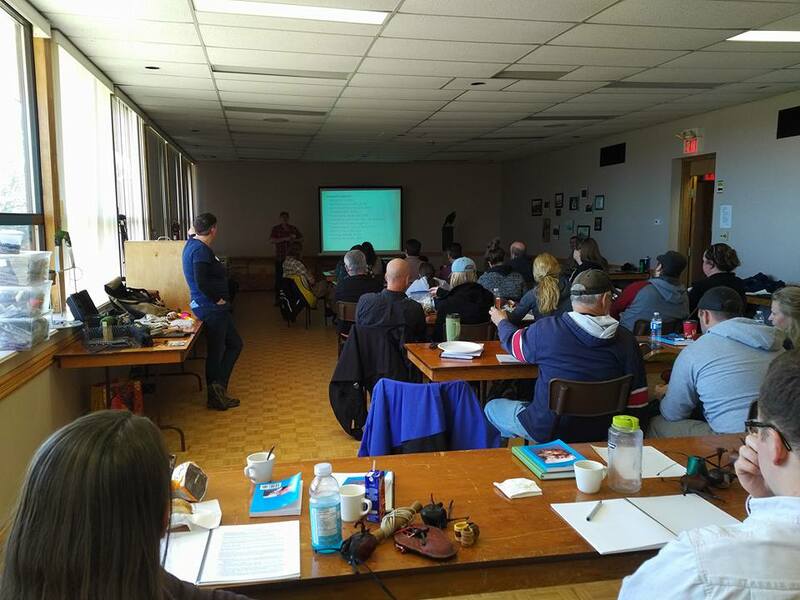 The workshop is open to all members of the Ontario Hawking Club (who were members as of the beginning of the calendar year), and non-members, as space permits. The deadline for signing up is one week prior to the workshop date. Registration begins at 8:30AM on the day of the workshop, and the workshop runs from 9:00AM-4:00PM. The workshops usually sell-out and registrations are taken on “first-come, first-served” basis upon receipt of payment. All registrants must pay on-line prior to the event. Unfortunately, payment on the morning of the event cannot be accommodated. If cancellations are made more than 48 hours prior to the event, we will refund you fully. If you cancel less than 48 hours before the event, no refund will be issued but you will have the opportunity to attend the workshop on another date (at no cost). No-shows who do not let us know ahead of time will not be refunded and will not be offered the opportunity to attend a future workshop free of charge. Send an email to workshop@ontariohawkingclub.org to reserve a place in the workshop. After you have been in touch with the administrator of the program to confirm that we have room and that the offering is an appropriate match of skill-level and expectation, an email containing a link to the payment page will be sent to you. Once you have paid for the course, more details will be sent to you, including the location.